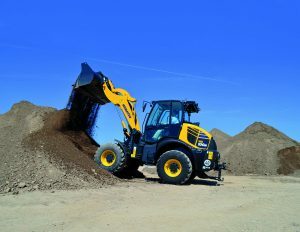 The new Komatsu WA100M‐8 Compact Wheel Loader proposes new and improved features. 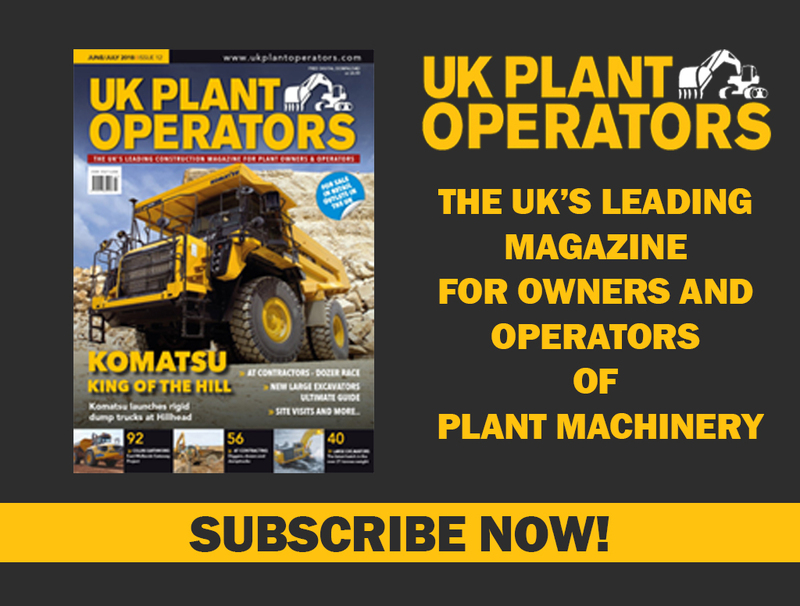 It provides effortless and low‐cost operations with a powerful EU Stage IV engine and the proven Komatsu Selective Catalytic Reduction (SCR) system, a new ergonomic design, a high level of standard specifications and an array of new options. The WA100M‐8 has an operating weight of 7,200 kg. 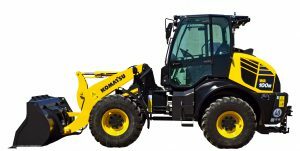 Its EU Stage IV Komatsu SAA4D94LE‐3 engine is also more powerful with 70 kW (94 HP) net. 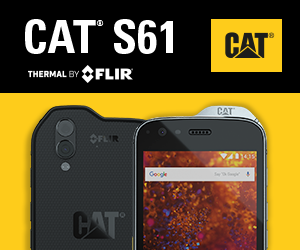 Optimised for tough construction applications, it delivers high torque even at low rpms. A fully automatic hydrostatic transmission sends power to all four wheels. With high rimpull, superior breakout power, high lifting and dumping height, and enough reserves for even the most difficult ground conditions, the WA100M‐8 also features low fuel consumption. The operator can rely on Easy Fork kinematic to transport loads with Komatsu pallet forks parallel to the ground without readjusting the fork tines. The after‐treatment system includes an integrated Diesel Particulate Filter (DPF) and Selective Catalytic Reduction (SCR) system. NOx emissions are reduced by 80% using AdBlue®, protecting the operator and bystanders and making the WA100M‐8 ideal for indoor applications. For improved versatility, available options include increased travel speed (40km/h), new high flow hydraulics, a new height‐adjustable trailer hitch, and new 3rd & 4th hydraulic circuits on the rear of the machine. A 6.000 hr cleaning interval typically makes the DPF maintenance‐free for 10 years. Komatsu’s redesigned 1.3m3 digging bucket has better penetration, a longer bucket bottom, a modified shape of the back and side walls and a new design of the spill guard. Easier to fill, it offers increased operating comfort, boosts the new wheel loader’s productivity and helps to reduce fuel consumption. KOMTRAX telematics offer top fleet management and support, protect the machine against misuse and guarantee maximum efficiency and uptime. For maximum operational safety, the machine’s low centre of gravity enhances stability, and its compact dimensions and a new engine hood ensure exceptional all‐round visibility. The new large multifunctional high‐resolution TFT‐LCD widescreen colour monitor panel has 13 built-in languages. The improved, ergonomic controls include a PPC multi‐function lever with optional electronic control for 3rd and 4th spool (EPC). The optional air conditioner and Electronic Controlled Suspension System (ECSS) further improve comfort and productivity. All maintenance and service can be performed easily and quickly thanks to the tilting cab. The optional hydraulic cab tilting pump allows the operator to perform maintenance even on the job site. The engine hood opens widely for a quick daily inspection, the electric equipment is well protected behind a maintenance cover, and the easy‐to‐clean radiator is conveniently accessible. A compartment for battery, main switch and relays improves maintenance access to the electrical system. 6000 hr DPF cleaning interval (every 10 years) – Peace of mind, low maintenance cost. New colour high‐resolutionTFT‐LCD widescreen monitor panel with 13 built‐in languages.